What’s going on in Yellowstone tonight? 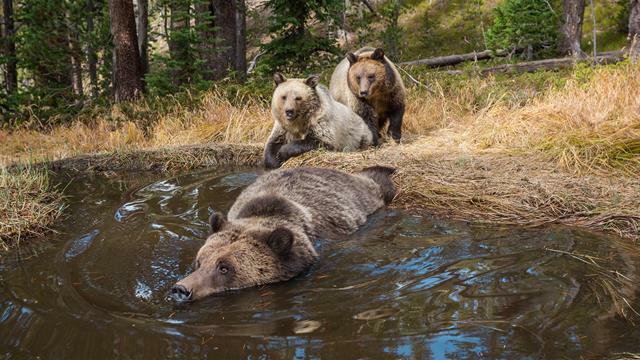 Thirty-five cameras will be aimed from 25 locations at the landscape, natural events like Old Faithful or any of the 400 animal species in the first of a four night event called “Yellowstone Live” (National Geographic, 8 p.m.) hosted by Josh Elliott and Chris Packham. So, as in “Live PD,” there may be a lot of activity, or none. Berman told critics at the TV Critics Association summer press tour July 25 that a plane flying overhead all four nights will pick up signals from satellite vans and a hovering helicopter. It will be focused on park hot spots, especially Old Faithful. Home base for the four day production will be a 100-year-old barn converted to a high-tech studio. So could this turn into “Earthquake Live”? This entry was posted in Summer TV Press Tour, What's On TV. Bookmark the permalink. Both comments and trackbacks are currently closed.